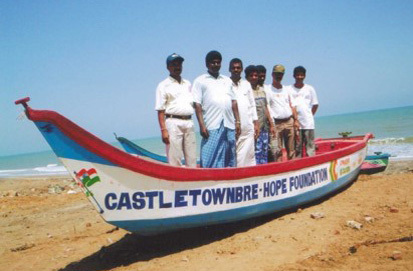 HOPE and HIVE (one of our NGO partners) work in partnership to deliver a 24 hour, 7 days a week response unit, compiled of social workers, who respond immediately to those in need. The Unit attends to victims of domestic violence, human trafficking, human rights violations and medical needs. The Unit particularly focuses on those most vulnerable throughout Kolkata’s streets, its street dwelling children and women. Where possible and appropriate, the Unit reunites individuals with their families. It assists below poverty-line families to access medical care and through strong referral networks, places at-risk individuals into appropriate shelters and homes. 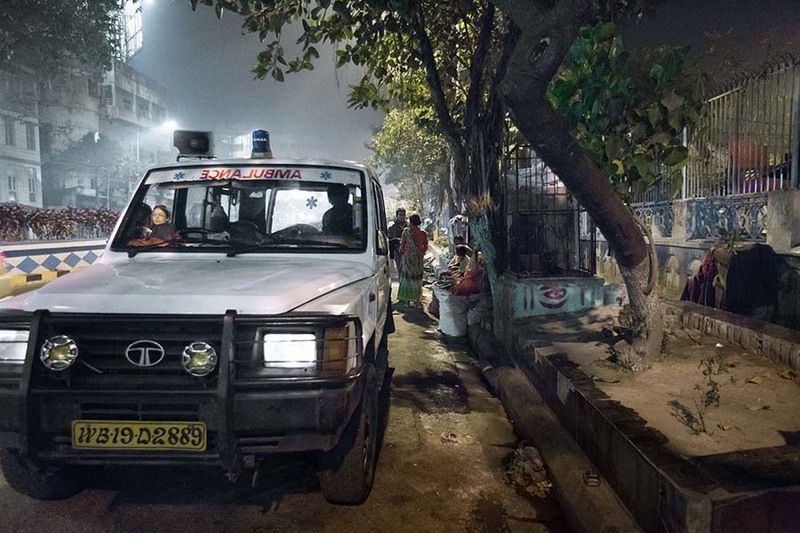 The Unit also receives calls from the Kolkata Police and the Fire Department, to respond to crisis calls throughout the city, particularly road accidents, which are common among street dwellers. This project involves night rounds for the rescue, placement and rehabilitation of vulnerable children and adults in some of Kolkata’s most vulnerable and disadvantaged areas; Dharamtala Bus Stand, Dumdum, Hastings, Howrah Bus Stand & Train Station, Moulali, Park Street, Sealdah Train Station and Sudder Street. This project also organises awareness camps, stakeholder meetings and networking with Government officials to unearth and work to solve the root causes of poverty among communities. Finally, this project helps encourage and support children to access mainstream education in government schools. 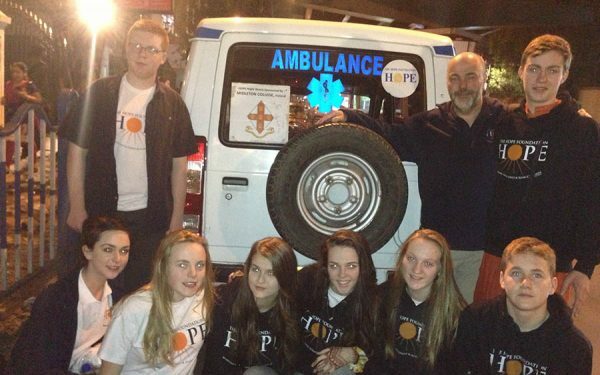 The HOPE ambulance is a beacon of light. Help us to keep this light shining. 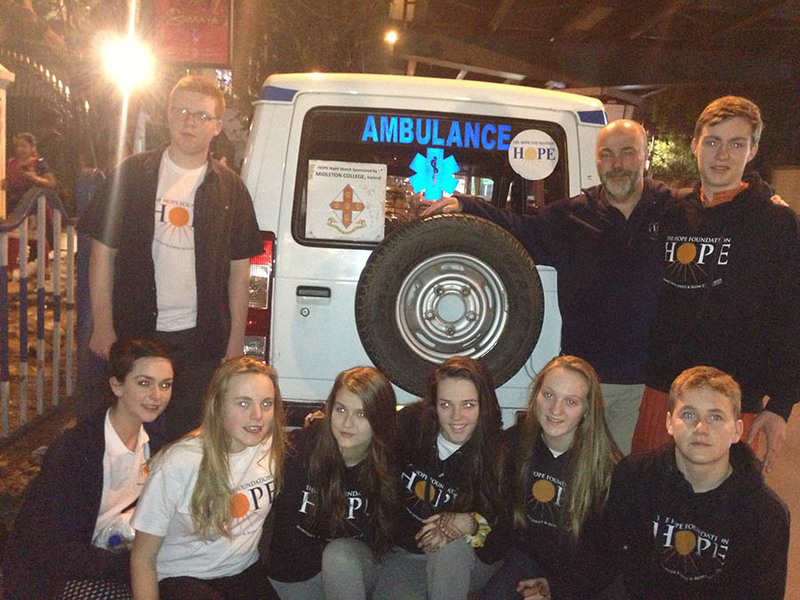 Midleton College, with leader Martin Preston, who support the Night Watch ambulance, part of the Child Watch Project. On 26th May 2009 Aila stroke West Bengal. As a result over 400,000 people are displaced. On 26th December 2004 a Tsunami hit Tamil Nadu. 7,793 were killed. 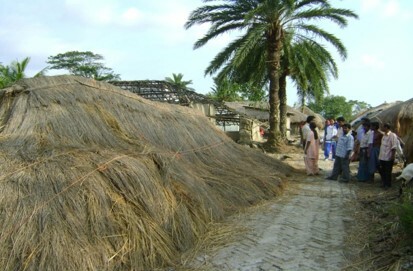 On 26th January 2001 an Earthquake destroyed life in Gujarat. 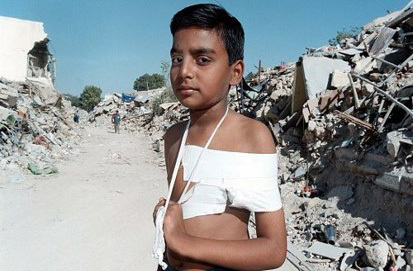 20,000 dead, 167,000 injured, 400,000 homes demolished. HOPE responded with 110 Earthquake resistant homes, 1 community centre, food, clothing and emergency medical care for thousands more.